Should Scotland hold a second referendum on independence? Could Brexit break-up the UK? In 2014, Scotland held a referendum on independence which nationalists lost by 55% to 45%. However, among the issues influencing Scottish voters was the fear that Scotland would be ejected from the European Union if they chose independence. Indeed, Scots tend to be more pro-EU than the English (and during the 2016 Brexit referendum a majority of Scottish voters backed continued EU membership). Now that the UK has decided to leave the EU, and given that the British government seems to be pursuing a so-called ‘hard Brexit’ option, is a second independence vote justified? In the run-up to the Scottish Parliament elections (held one month before the June 2016 EU referendum), the Scottish National Party published a manifesto pledging to fight for a second independence referendum if Scotland was “taken out of the EU against our will”. On 13 March 2017, Nicola Sturgeon, the First Minister of Scotland, announced that she would indeed be pursuing a second referendum. She wants to hold a vote before spring 2019, when the outline of Britain’s future relationship with the EU is clearer but before it has formally left the bloc. British Prime Minister Theresa May has criticised the proposed timing of the second referendum, but has not ruled it out completely. 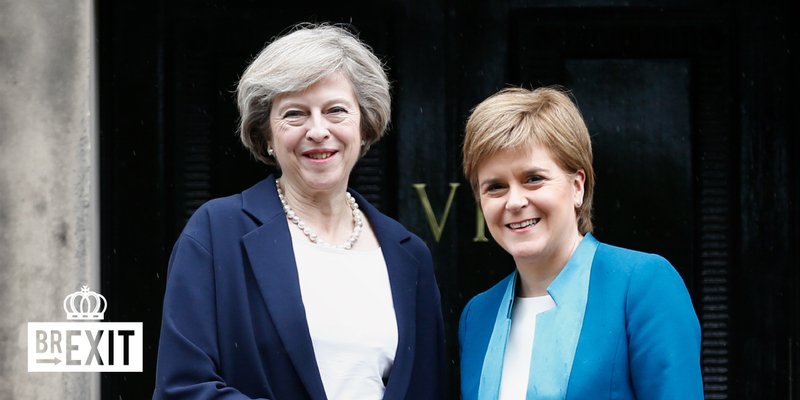 Should Scotland hold a second referendum on independence? Has the threat of ‘hard Brexit’ changed the equation? Let us know your thoughts and comments in the form below and we’ll take them to policymakers and experts for their reactions! Second, third, fourth… Until you win. The sooner Scotland is independent, the sooner Scotland can take UK’s place in Europe. England is descending in to irrational nationalism and soon will just be a rump nation screaming about its former glory. Ok, so how are you going to do that exactly? Where are you going to get the money for your independence? You seem to have missed Ireland and Wales out of the equation…they’re not leaving and so no England will never be a rump nation…and before you accuse me of being English…I’m not. Kirstie Mamoyo Rogers Ireland has been independent since the 1920’s. Donald MacLennan Ulster is split between Northern Ireland and Ireland. 6 counties are in Ulster and 3 counties are in Ireland. Andrea Brown only part of Ireland has been independent since the 20’s, they’ve had plenty of time to grow it’s 2017 now. How are you going to pay for schools, armed forces, health service. the EU have already said you’ll be at the back of the queue. Kirstie Mamoyo Rogers Wrong. EU officials have made clear that Scotland has very little to do to join EU. So these “officials” ignore the fact that Scotland’s budget deficit is three times what is required for a member state to join, the fact Scotland will refuse to join the Euro and the fact there are 4 other countries already in the queue? Scotland take UK’s place? As what? You do realise there are only 5 million of them? Why do people insist on saying that “there is a queue” that Scotland, or anyone else, would have to sit in? There are countries who wish to enter the EU…and they can do so when they fulfill the legislative and regulatory requirements. If Country B fulfills its obligations, it won’t have to wait indefinitely while Country A continues to fail in its tasks, simply because Country A popped their request in first. That Scotland currently has no borrowing powers to physically create this hole in the first place…and that it requires the fiscal mechanisms of an independent, self-determining country to be able to undertake the process of filling in the hole that it has been given?! Paul X Scotland already pays the price for being in the EU. Our fishing grounds and agriculture have been pawned off so London can get a better deal. That is under the UKs watch. Scotland will be far better off under the EU than we are at the moment having to go through Westminster. Also, I think most EU countries are just dying to stiff the rUK for the arrogance of the UK over the decades. Companies are already looking to leave London. Donald, your argument does not make sense. Agriculture and fisheries are two areas that have driven many people to vote to leave the EU. If you look a the demographic of the Scottish vote then the closest vote to leave was Moray which has it’s fishing industry decimated. This was totally overshadowed by pro-remain voting in the central belt. This mirrors the English pattern where the greatest remain voice was from the southern counties and people in more northern rural communities voted out. So can you explain why the SNP were again voted into power by the Scottish people? How do you think they will do in the up and coming Council elections? I can’t believe you think the SNP are u this for their own gain! About the only political party in the UK that do care c about the people first. Stop watchingt the beeb and reading unionist rags and learn some facts about what is really going on in the UK! Do you really think you will be better off with brexit and Tory rule for the next decade. The only way to disband the SNP is to vote for independence. And yes, Brexit with the Scottish government getting on and making the most of the devolved powers it already has (and more may be given) is preferrable to a Scotland independant from the UK and outside the EU. If Scotland can meet the financial joining criteria (if it ever can), and if admitted there will be the Euro, shared fishing rights, extra taxation on oil and no doubt many other concessions given up for joining as a new country. We are not to get any more powers though Paul. Did you not here May’s speech in Glasgow. She said we were not to get the promised fisheries and agriculture back and that further devolution would now be halted. We also now know Westminster doesn’t need to listen to Edinburgh about anything and can even close Edinburgh down if it wants. Get your head out of the sand man. Oh, and the powers we have been granted are mostly unusable in any meaningful way. It was a trap so that they could then bleat on about how the SNP should be trying to stop Westminster austerity. If you didn’t see that coming or can’t admit to it you shouldn’t be commenting on Scottish politics. Come on you know it is true. Take that step. Admit it. “And in policy areas where responsibilities are devolved, we will look for ways to collaborate and work together with the devolved administrations to improve the outcomes for everyone”…. You seem to be suggesting independence parties cease to exist once they’ve gained independence. That surely isn’t accurate – there are multiple examples. You also appear to suggest that it’s reasonable to expect that politicians would put citizens above personal ambition power and politics. That doesn’t seem to be a very realistic viewpoint either – BoJo a case in point . So what is the point of the comment? That’s a question you should ask to Scottish people. It’s up to them to decide their future, right? Why the hell only Scotland?! Because it is better for you?! What about referendums in Catalonia, Veneto, Flandres and so on and so on?!!! It should be YES to anyone who want to hold a referendum, not to those who serve your (Brussels) stupid politics!!! Scotland’s case for independence is stronger due to the fact that it is a COUNTRY, not a region. It’s a pointless argument. The people of Scotland overwhelmingly voted against independence, the majority of Scottish people do not want to have another referendum. 55-45 is not overwhelming, it’s quite close. Many Scots were swayed by the fact that leaving the UK back then meant leaving the EU. They did not want to leave the EU. Now post Brexit referendum those, Scots that wanted to stay in the UK, only because they also wanted to stay in the EU feel betrayed. Also polls about Scottish independence now show that Scotts want to leave the UK. Brexit will happen, and it will have consequences. カメニャク マリオ no they don’t, have you spoken to many Scottish people? Kirstie Mamoyo Rogers I am Scottish born. Since Brexit the amount of people supporting independence has risen dramatically. Andrea Brown I’m also Scottish born and I’ve yet to find anyone who wants it. Dave Dillon 13 billion doesn’t even scratch the surface. HOw will you pay your armed service, how will you set up and run a health service, social care, etc. Which currency will you use how will you set up immigration controls. 13 billion is like pocket change. What armed service.? Where will that come from.? Jim Izzard Snr Well I’m guessing they’ll have to create one? they don’t have their own currently, it’s the British armed service currently. Doesn’t even scratch the surface? the entire NHS in Scotland costs about 11bn. Scotland doesn’t need an army – if any cretins want to become hired thugs for the corporations then I’m sure the english will still be fine to rely on them hugely. Miguel Wilkins so you don’t want to have social housing, a police force, no infrastructure. what about immigration control which they will have to set up and more importantly which currency will they use? You need to do some more research. 13 Billion is not enough to run an independent state…not even close. I’m one of the Scottish people who want independence. Never assume to be the voice of the many. You are only qualified to talk about yourself. And not all pro independence people participate in these discussions. Are you being deliberately obtuse, Kirstie? The £13 billion is from ONE sector of industry…it isn’t the whole economy. If you’re struggling so much with that…then you’d be better reading more, and typing less! And if you reply back telling us that you know that the economy is more than that one sector…then it means your comments were deliberately misleading. So…are you being deceitful with your remarks…or simply uneducated? You’ve been listening to Ruthie, Mundell and Theresa May. Try listening to the actual people that matter, the Scottish people. Yes they lost the last ref, because of the promises and lies from Project Fear. Now things have changed, as does politics all the time. Now we will be independent and free from WM while England becomes a lonely wee country with no Scottish resources to rely on! By my maths there’s only half the reasons now? No mention of oil, no mention of net tax contributions to the UK, could that possibly be because now the price has dropped out of oil the net contribution is going the other way? The economic arguments will b met head on this time. For instance GERS is being treated with suspicion by economists like Richard Murphy http://www.taxresearch.org.uk/Blog/2017/03/15/more-on-why-gers-might-properly-be-called-crap-data/ and Deloitte – the big international accountancy business – who recently confirmed that GERS tells us nothing at all about the future finances of an independent Scotland. In that judgement they were recently joined by the Fraser of Allander Institute. So, all this stuff about Scotland’s apparent 15 billion deficit is just made up. The treasury are going to be pushed to come up with a better way of working out what the real figures are. The people of Scotland pay taxes. We are at the moment British. That means we own a share of everything considered British. We have had our own NHS for some time, we would get a share of the military, a share of all the other assets we have helped build over the last 3 centuries. Why do people think it (all the assets) is all England’s. Is this not a little bit imperial, supremacist…as if Scotland were some colony? Why would England or the rUK get everything and Scotland nothing? Why would we get none of the military? Why would the Queen decide she didn’t want to be the Queen of Scotland when she was happy to be the Queen of every ex colony etc. What you all forget is that we would be housing Trident until you got your act together to get it out of our country. That would mean you would have to play extremely nicely. The world will be watching. Why not? The political scenario has changed. Scotland people seem to want to remain in EU. the UK voted, that included Scotland. Scotland is still part of the UK therefore we’re all out. They can go for indyref2 but I would bet my life the result will be the same. Brussels as made it perfectly clear they do not want Scotland in the EU. Ivan Burrows learn to read. The EU just made it clear to Scotland that there’s no room for further discussion about its membership AS LONG AS IT REMAINS A PART OF THE UK. Also, once Scotland applies as an independent nation, the process would be fast paced. Mitsos , the Scottish people have voted it was a resounding NO , it will still be a resounding NO, you really need to look at the Brexit result voting pattern in Scotland , only 67% of the Scottish Poll turned out , of that 62% voted Leave , this means 41% of overall of the Scottish Poll voted leave , this is not the will of the Scottish people, if we had known that the SNP would use our Brexit vote to leave the UK ,everybody in Scotland would have exercised there vote differently , this is why there is no mandate . Scotland has all the infrastructure in place already army, police etc etc and we are entitled to our share of what is ours we have paid for it over the years … we have plenty resources, more than England per head of population. This is why Scotland has been kept by Westminster for so long… we make them money! All the propaganda makes us think we can’t afford to be independent but of course we can … we are a canny, inventive wonderful nation. The thing is Kirsty there is over 180,000 EU citizens in Scotland who were largely frightened last time into voting no. They won’t be this time. That and people can see the lies of the vow and the utter contempt with which Scotland’s cross party contributions to the Scotland Act were treated at Westminster. You really need to keep up. Just over 1,000 people took part in that poll, it’s barely relevant. A big yes! And the Catalans also yes. On this 2017. The old imperialism of britain and Spain is dead! We want to say yes to democracy and the european values from the self-determination right. 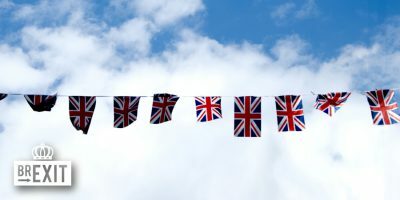 If the Queen don’t vetoing brexit the GB will falling apart….. Yes, because the UK government is in direct opposition regarding the will of the Scottish! Because in 2014 the “will of the Scottish” was to remain part of the UK …….but wouldn’t it be great if you vote for a government but everytime they do something you don’t like you demand a referendum on it? We are still waiting on the powers promised and yet again Gordon Brown has surfaced offering option 3. Lol another lit of promises\how they will disappear into the ether. -Page 25 of the SNP’s 2016 manifesto. Those are the EXACT words. Do you just keep churning this mince on every site, hoping someone won’t challenge you?! In the run-up to an election, a party creates a manifesto of expectations and commitments. If people like it…they VOTE for it. If enough people VOTE for it….YOU WIN!!!! By winning…the VOTERS turn your Manifesto into….. A MANDATE! Democracy seems to be a real problem for you?! If the voters didn’t like the idea of having this level of protection…then the SNP wouldn’t have won with the largest ever constituency vote. Why would anyone want to take power away from one Parliament to give it to another that is made up of corporate thieves? This women running that show is demented by power delusion . The EU is strangulation of every part of peoples lives, Westminster is simply a watcher and once it is free to leave the secretive Europe it has around its neck all our lives will be freer. See this boy is the true leader of the blind Scots. Freer under Westminster? Your current Prime Minister is the author of the Snooper’s Charter, and your last one spoke like an Orwellian comic-book villain about punishing people for ideas even when they hadn’t broken the law… You can’t get much less free than a country where opinion and freedom of thought are restricted. Don’t give a hoot no matter who runs the country we are all f d anyway fae the money grabbing MP scum. I wonder why Scotland want to leave it’s safe Sovereignty under U.K. institutions and become a German-Slave-dependent ? And believe me being under German rulership is Awful …! Check what Germans are doing to Greece, they Destroying it and take all it’s wealth, leaving Greeks without any hope for the future ! Excuse me, Sir, but are you an idiot? Insults instead of Arguments ? I think then that I proved I’m Right ! Practically, Greece is a dead wait tied to the Eurozone countries . It can’t be thrown out without dire repercussions, it doesn’t want to reform and the status quo is not good either. Call Berlin back when you are ready to make massive cuts to the public sector and become serious about collecting taxes and investing in the economy. Spare the Insult notions to your compatriots. My family was destroyed by the German-Nazis in WWII…and never compensate anyone. And, really ? When the E.U. countries admitted Greece in the Eurozone, didn’t check the balances and the other economic figures and criteria ? I think Gerhard Schroeder, the German Chancellor was so in favor at that time for the admission of Greece to the Eurozone (!!!). And finally, you miss something : We Are Not Going to Sacrifice any more for this Racist and Tyrannic E.U., and I’ll be glad to Exit from this Pit ! Marian Rodu Oh..and I forgott : For Germans and the Northerns, you Romanians, Bulgarians, Greeks, Albanians, will always be “Balkanians” = 2nd or 3rd category-people, so …They Don’t Care about You ! Because the Westminster have been draining scotland of its resources for decades. 300 years ago the people of scotland did not want to join the union, they were forced. ( parcel of rogues). Taken us into illegal wars. Not in my name and many other scottish people. Unfortunately scotland is in debt due to Westminster. We should have savings like norway. Stuff the EU we are out on 29th March thank God. Scottish people voted leave and voted NO for independance. Both referendums were 100% democratic. All the foreigners commenting on here should take a long hard look at their respective countries and note how your cultures are dying and being taken over by a murdering religious cult. At least the people of Great Britain have got our country back …. You’re right. When you brits will starve, we shall discuss again about it. What just like your people in Romania…. You know absolutely Zero about Great Britain. Claudiu Romanescu what a pratt you are. Is Great Britain a country? Does it mean that Northern Ireland isn’t part of your country? And is the UK a country? So why hasn’t the UK, for example, a national football team representing that “country” in the European Cup or in the World Cup? Romania…corrupt to the core, a country where gypsies are voted to become Mayors and actually conduct their mayor duties from prison…you could not make that up! Has the most pick pockets than any other country in the world. So corrupt Russia still controls their oil and gas. Great Britain and Northern Ireland …football is not political and these are the home nations and incidently have seperate competitions yearly. Do you not complain about all the Indians that use portugese passports to infiltrate your country? The united kingdom of Great Britain and Northern Ireland ….United as home countries. Take a look at a British passport…. Irene Rosa…you should know this as you are a school teacher. Unless of course the liberals have changed our history too. Great Britain is an self adopted imperial epithet. England (the country) isn’t an empire any longer. We are living at a time where we are witnessing then end of an empire. Britain is not a country, it’s a geographical description of a small archipelago off the northern coast of europe. You are British as a function of geography not nationality (and will remain so after Brexit and after Scottish independence.) the small island that forms “great Britain” is composed of Scotland and England – two separate and distinct countries and cultures. The UK is a political construct created by a treaty of union and formalised by an act of union, however they did NOT join up to become one country. The treaty of union is just that, a treaty, in much the same way that being a member of the EU is based on a treaty and as Brexit has shown, all you need to do is cancel the treaty. So to repeat Britain and British is your geographical description of where you live, English (or Scottish or Welsh or N. Irish) is your nationality and describes what country you are from. UK-ish as far as I am aware is not a nationality. The Scottish people did not vote leave. 62% voted to stay in the EU. Supposing the 62% Scottish vote had been enough to keep the UK in the EU against the wishes of the people of England…..do you think the English would be up in arms demanding independance from Scotland so they can leave the Eu? PaulX yes I think they definitely would do. Besides there will be a vote tomorrow in the Scottish Parliament of our democratically elected representatives and another referendum will be asked for. The last one was won by around 200,000 votes I believe. There are over 180,000 EU citizens in Scotland who will not be in the mood to vote No this time. Broken vows, contemptuous Westminster to cross party wishes of Scottish Parliament in Scotland Act, May ignoring Sturgeons compromises, being ripped out of the EU, a load of broken promises no prospect of a Labour Government, no prospect of a last minute breach of purdah and a new vow that would be immediately reneged on…. Not yet . They had one only recently and nothing has changed since then apart from Jimmy Crankie getting all unnecessary . Maybe after Brexit and the deals are done when they know what they will be leaving or indeed joining they can again vote to leave or remain within the UK . Ultimately though its for Scotland to decide ,I wish them well . The SNP actually campaigned in 2016 on having another independence referendum if Scotland voted to remain in the EU but were dragged out anyway; having it after we’ve been taken out is a little too late, if you ask me, especially when we were promised that our place in the EU was only secure if we stayed part of the UK to begin with. Yeah Kevin, thatb is what Sturgeon said. She wants the referendum once the deals are done and we know what we will be getting. Do try and keep up. This will take around two years according to the UK gov (late 2018 or early 2019 Sturgeon said). Sturgeon wants it once we know the deal. If independance is good for england…it will be good for scotland..england rip us off more the eu did to england. Rip you off ? Scotland on its own is an economic basket case , worse than Greece , it wouldn’t even meet the requirements to re-join the EU .Take away the English crutch and its hard to see where its economy would go . Absolutely Not. The matter was settled in 2014. How about in the same way that every other independent nation does? With excess resources on top! So Scots prefer to be under Brussels,Berlin,Frankfurt etc….a insignificant part of the E.U. a german protectorate ?Is this what you call freedom ? Be proud to be part of the U.K..Many British great men an women were from all parts of th U.K. Be realistic and logical and not provincial and falsely nationalistic. Stupid question……NO because the SNP are Nazis….simple. Not quite as simple as you, my less than erudite friend. Consider using the internet to do some research on who the Nazis were, and who the SNP are, instead of letting the fact that they both have a majuscule ‘n’ in their names convince you that they’re one and the same. While you’re at it, consider comparing some recent Conservative Party legislation regarding freedom of speech laws and privacy. I assure it, it’ll make for some some rather enlightening reading. Not from England, from Westminster. There are also many regions of England that would like more control away from Westminster. This has bugger-all to do with Europe. The Scottish People voted decisively, in 2104, to remain in the UK. The Petition demanding No Second Referendum, is nearly 200,000. We said NO, and NO is what we meant. Page twenty five of the 2016 SNP manifesto. Read it. Results of that election. Google them. Results of the EU membership referendum. Google them. There’s over 5 million people in Scotland so 200k is not really a majority plus that petition can be signed by anyone with a uk postcode. The Scottish people voted on a pretence of the vow for a federal like state with a secure future within the eu single market, more devolved powers etc. What it got was the opposite. Why are unionists scared of Scotland getting another referendum? If you are so sure it will be a no vote again surely that would be the end of the snp? To be honest I don’t think its the unionists that are scared of another referendum for exactly the reason you state, currently the result has to be a resounding no. To have any chance of getting the result they want the SNP has a huge task to present a sound financial case and also give the true facts on what conditions will be imposed on Scotland for rejoining the EU…… and most importantly how Scotland intends to survive between leaving one union and joining another? “the Scottish National Party published a manifesto pledging to fight for a second independence referendum if Scotland was “taken out of the EU against our will”. That settles it. Scotland must decide whether or not wants to go on with such a substantial change of the status quo. A status quo that had been guaranteed in the first referendum from the NO party. I am not Scottish. Only Scottish have the right to answer such a question. If I were a Scottish, I would like to have my independence. Two Frau Sturgeon & Adolf Salmond fans. Of course they should. Our government has the mandate. An even greater mandate that Brexit. The EU referendum was triggered on a mandate of 35%, a Scottish referendum can assuredly be triggered on a mandate of 52% (including indy supporting greens.) Scotland voted decisively to remain in the EU. Brexit changes everything and the Scottish people have the right to decide their future once again. One has to ask, why are those who voted NO (and I was one of them, no longer though,) so adamant to deny the Scottish another say? You got your answer and don’t want any change? Afraid of the new answer? Don’t actually care for democracy now you have your answer? KEEP YOUR NOSE OUT OF SCOTTISH BUSINESS IT’S NOTHING TO DO WITH YOU. No. The politics of grievance and division are damaging my country. At what point did answering a poll become such a hardship? have you considered that the desire for a referendum might in fact be in response to those self-same problems? What about the charter allowing your personal browsing history to be sold to all and sundry without your knowledge or permission? Nope. Didn’t vote for that either. How about staying in the EU? Well, yeah. We didn’t vote for that, but we’re leaving anyway. A why can all of this happen? Westminster. PaulX Do you really think North Korea is afraid of Trident? Or, could it be all the other nuclear missiles pointed its way that might even work!? As for divisiveness the Scottish Campaign was as nothing compared to the EU one. Hate crime did not rise as it did in England. The only violence we saw was from unionist, fascist, football thugs after the result was in. Tell me of a single violent act carried out against a unionist during the campaign. More hyperbole will get us nowhere. Can’t we have a reasoned debate without all the silly hyperbole this time? Your reference to Glasgow I believe…..
Definitely yes, not only will we win but we will hack of the “no means no” parrots. Yes they will lose again. It will be the end of the independence party. absolutely it should! The EU needs to understand that the Scots have been EU citizens before the Spanish, Porgughese and Greeks, before the Danes, the Swedes and the Fins. To intimate as Baroso did during Indyref1, That Scotland would join a long queue was an appalling disregard of the democratic process (Scotland should have had an automatic place that was guaranteed because anything less was not a real choice). At present this UK government or London Government has shown an abject disregard for its citizens abroad, the 48% who do not want their citizenship removed by force, Eu citizens there. In addition it has shown a side of itself to the ‘devolved governments’ that indicates they matter not a jot! So yes, Scotland needs indyref 2, and needs to make a real choice. I would hope this time that the EU has enough nouse to guarantee the place that Scotland already has should it decide to become an autonomous government. Reading these comments convinces me that the electorate has some pretty short memories. Yes, we had a referendum recently, but we made that decision based on a situation that no longer exists. YOU might still be happy with your original vote, but others aren’t happy with the broken promises made by Westminster. Why are you so afraid of even asking the question? Is it because you realise that things HAVE actually changed enough to change the result and you simply don’t care about democracy unless it gets you what you alone want? Because if the situation hasn’t actually changed, then surely we’ll vote No again, won’t we? Aye David and, some of those who do, are baying for access to our fishing grounds. Spain which, bans the other countries from fishing in its waters being but, one of them.We can trade well enough with the EU ,we dont need to join it. As things stand we, as part of the UK Union, get a piss poor deal from being in the EU, the grants it “bestows” on us being less than a third of what it takes from us. Just as it is with being within the UK Union, the EU does not benefit us, we are nett contributers to it. Just a little tip.. independence support just loves people who say ” it was a UK Vote “….the whole point is Scotland can never be represented by a UK Vote because it is Always out -voted Ten to One….Saying ” it was a UK Vote ” is winning votes for a Separate Scotland …everyone in Scotland knows this which is why they let you keep on saying it. Maybe we should balance the books by letting Scots, Welsh and N. Irish folk 4 votes each, or would that be the tail wagging the dog? Over 1 million people in Scotland voted to leave the EU. Everyone gets a vote and everyone elects a Parliament…that is the way democracy works and it should be respected because a lot of people made a lot of sacrifices to make it happen…..For your benefit I shall point out again that no matter what Scottish people vote for in UK Parliament or in a UK Referendum they are outvoted at Ten to One and it has always been so….those who continue to cite The UK Referendum are adding to the Scottish Nationalist case for political separation….I have no information on dogs or tails . If you want.a referendum. Why not have one now??. Why wait. They could then tell us where’s the money for an independant Scotland going to come from, and what’s the currency going to be, because it won’t be the pound. So lets have a vote now. Not next year or year after. Hey Queen Niicola now there’ a thing to behold. They waited from when they got in in 2007 to 2014 for their referendum as they knew they couldnt win, they know they wont win this time but want to stir up as much trouble as possible to prevent the U.K government from getting the best leaving arrangements and to strengthen their position, traitors to all 4 nationalities of the U.K. I think Lord King, former Governor of Bank of England is slightly better qualified to comment than your good self…..and he seems to think Scotland would be just fine……… the pound doesn’t belong to England…..it was in use in Scotland long before the Union came into effect. May is far too scared of losing the vote to have a Referendum now……..why else do you think she reacted like that…….running scared of the outcome…….. But there is some sense in letting people choose which Union they want. They voted for both but can only gave one. 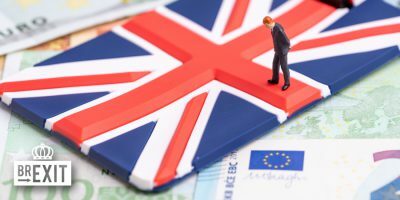 The notion they can’t choose is simply UN-democratic and May will be forced to give in eventually…..
Paul Rejoining the EU will not mean we have to use the Euro. There are many countries out there that have joined but that don’t use the Euro. You knew that though…right? Voters are entitled to have authoritative statements of fact and opinion made available to them so that they can make a decision. Both the 2014 independence referendum and the 2016 EU referendum were damaged by unsubstantiated assertions and opinions. NAW !!!! We had One And The Answer Was We Stay In The UK. We were promised one if certain things happened. We voted accordingly and now they have happened. The Scottish Parliament (our representatives that were democratically elected) will vote for a referendum tomorrow. That is democracy and recent polls have shown a growing Yes vote hovering around and even over in some 50%. It is game on people. Give the UK a referendum on separation from Scotland and they’ll be more likely to gain their independence than if they vote for it themselves. We are fed up with their stupid splinter group of 1.6 million pro-Remain Scots trying to dictate to the rest of the country. Sounds good to me. And those 1.6 million were 62% of the Scottish nation. We are not a region of England. That “splinter group” makes up the vast majority of Scots who voted ? we will serve the Scotts if they join EU ! You will have them forever democracy isn’t a win and give up regime as long as they keep majority they will push indy as soon as we push britnats out we are guaranteed to get it we were always going to get it lmao. It will be a pitty to see the Scotts go, specially after such a clear vote against the Brexit. Scotts porridge oats? I think you mean Scots mate. Was going for Scots, but then saw here someone writting Scotts and went with it. Mas é possivel que sim meu amigo, posso-me ter enganado. No an independent Scotland will be isolated on a Northern part of an island shared with the United Kingdom.The majority of our trade routes pass through England and the UK is our major trading partner.Having a different currency to the rest of Europe will reduce our wealth and growth, it would be a disaster . Glad it isn’t a choice it is happening as law dictates. Yes tot EU-Scotland. Yes to Ireland-unification. Both parts are welcome in Europe. Yes, it should. The situation has changed. God preserve us from “Schrödinger’s Unionists”: simultaneously they complain about the Scots being subsidy junkies, at the same time as saying they can’t bear to be parted from us. Been there, done that.. best of three? and not just Scotland but also North Ireland that should join Irlande and probably too Welsh. Not a Scott so i have no business saying yes or no. – Fourth, because if the “Bremain” vote won, but England and Wales would still have a major “Brexit” majority, they would probably ask to disassemble the UK to be able to leave the EU anyway. The result in Scotland is a distorted one. 1 less voted to stay in the EU than stay in the UK. 15% of the vote difference..400000 votes. 2 there was no leave campaign in Scotland all parties supported stay….despite that as said the vote fell. This whole Brexit mess can be easily solved! England needs to declare its independence from the UK and that it is leaving the EU as well. The remaining parts of the UK then carry on as normal whilst England drifts off out into the mid Atlantic. The terms under which we voted for NO have changed- we are now unexpectedly being pulled out of EU when at Indy Ref we were told a vote for NO ensured our continued membership. What has happened so far is a subversion of democracy. Who stands to lose from asking the people? The people? At least now we know what we would be voting on. 1 in 2014 it was made clear that exiting the UK would mean exiting the EU..the UK is the member state. 2 Salmond refused to give the people of Scotland a vote on the EU. 3 everyone of Westminster parties at one time or another put an EU referendum in their manifesto…the Tories who were in power had it in theirs. 4 400000 more people voted to stay in the UK than for the EU…that despite that all parties supported staying in the EU in Scotland…further would the other Scottish parties have taken that stance if they knew it would trigger a new indy vote…of course not because they were promised at the start of the new Holyrood parliament…promised by Sturgeon that it was about governing Scotland not about independence. There has been no subversion of democracy..just results you don’t like. The snp manifesto is clear. There’s a democratic mandate for another ref. The UN and the EU have numerous rules that the “uk” broke in the campaign in 2014. Scotland needs a fair referendum this time and in light of how the tories have handled brexit so far, we should be inundated with support from our EU neighbours. Definitely. The conditions have changed, so the result of the first referendum has become obsolete. They should have their right to say if they want to stay in the European Union and if it means leaving the UK, so be it. Salmond offered no EU vote in 2014. He was told plain and clear that exiting the UK exits the EU. The EU vote was in the Tory manifesto. The SNP did not stand aside in 2015 to allow a Labour win…preventing an EU vote.. So they have acted to create a situation. Out in 2016 is the same as being out in 2014. Out is out…no change. The real issue is ignore 400000 votes that put the UK over the EU.33% of votes dismissed. The position we now find ourselves in does not reflect what was vowed to us in the final days of the 2014 ‘no’ campaign. That was: respected partners that would help lead the Union, the only way to ensure EU membership, carbon capture plant, contracts for 17 frigates, renewable support, retained tax jobs, a federal UK, real devolved powers, etc. Each and every one a lie, with subsequent actions designed to weaken our position. When given a chance to at least show the slightest respect to the Scottish government’s Brexit paper, it was utterly, disrespectfully ignored and treated with contempt. Scotland is the only net exporting country in the Union. Simply we pay in more than we receive. Debt cannot simply be imposed from the parent nation. Also given the current UK debt levels, it’s laughable for them or the right wing press to suggest Scotland can’t look after itself. The EU cannot negotiate with us until we are divorced from the UK. Their position has changed completely towards us since 2014 as the have watched England lurch towards right wing politics. The position has now changed and we as a country did not vote for Brexit and we have a democratic mandate to decide whether or not to follow England into the abyss. 197,000 votes was all it would have taken to reverse the 2014 result. How many EU nationals live in Scotland…? Yes if the Scottish parliament approves it. It was no last time and it will be NO next time and I am Scottish. Then we have nothing to fear from asking the people? Aye. In 2 years time Scotland should choose. Of course there should be a referendum. We are now governed by a woman nobody voted for, heading a party nobody elected. Scotland has wealth and the people of Scotland should have a say in how it is distributed. It is not for politicians in London, some of whom have never set foot in Scotland, to determine how we spend our wealth. Balance of power is a positive thing, and we will still share much with England, remain (geographically) part of the UK and Europe, and have control over our own destiny. As an example, we can remove Trident, or receive money for keeping it. I would like to see it gone, but a decision taken by the people of Scotland may look upon it differently. What is important is that the decision is taken in Scotland, by the people affected by it. Other matters such as currency, fishing, health, infrastructure and education can be decided here. The SNP have their hands tied to some extent at the moment as they still rely on handouts from the UK government. Being independent means that we have control of our destiny, however it plays out, and that is something to strive towards. No ??? Self-determination inalienable right . .. look it up in the UN Charter! Yes. As soon as possible. Of course Scotland should be Independent! Scotland is getting independence like it or not. In few years time there will be a fully independent Scotland member of the EEA on its way to become full member of the EU. There will also be a unified Ireland. In light of Brexit- yes- after all, it is a substantial ‘material change’ to the terms of the first Indy Ref. Ask the people- thats democracy. Scotland has voted to remain in two Unions but because the goalposts have been moved, we can only stay in one. It is therefore our right to decide which of the two we will benefit most from, and for me personally, it’s quite clear that even with some of the existing controls in place from Brussels, being an independent country will afford us much greater control over our country than we have at present, within the UK. 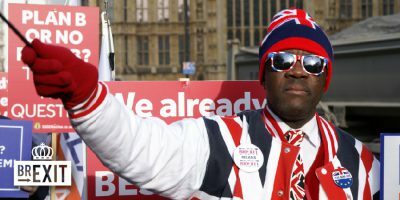 We will also have a much better status as a separate country, within the EU, than we do presently within the UK, where so many decisions are made on our behalf by a Westminster Parliament, which will always look after the interests of English constituencies first because they are the majority. Arguments on the economy, merely parrot the data produced by the Treasury on behalf of the Establishment. The truth is there are no real accurate figures on the economy in Scotland……..because someone at the Treasury decided about twenty years ago, it wasn’t important enough to warrant them. All the figures are derived from estimates and surveys, extrapolating numbers which aren’t worth the paper they’re written on. Roll on Independence and we can take responsibility for ourselves……good and bad….. The only hope for Scotland’s future is to be independent. The alternative is to be at the mercy – ignored and exploited – of an increasingly right wing and xenophobic Westminster government. The current system does NOT work in our favour. We’ve seen that in the way our 56 SNP MPs are treated. Furthermore, if the Labour Party in Scotland ever wish to return to power, it can only be in an independent Scotland. We voted as part of UK not Scotland ,Sturgeon has her own agenda right now none of it makes sense,over a third of SNP voters voted to leave the EU I’m one I will ever vote SNP again. We voted as part of UK not Scotland ,Sturgeon has her own agenda right now none of it makes sense,over a third of SNP voters voted to leave the EU I’m one I will never vote SNP again. Why? Why are you so offended by the SNP fighting for your rights? Who is it you see as our best option? She’s not fighting for my rights and she does not speak for me,independence is one thing but she wants us ruled by Brussels that’s not independence,look around you under SNP everything is failing,the economy,the Nhs,our children’s education we just lost fourteen million of our own money from the EU with snp incompetence. everybody is to blame, except westminster? I guess you do mean that as a joke? If UK holds a second referendum on EU membership, then is no need for a second referendum in Scotland. Oh YES there is! I want Independence above all! Why would the UK do that? The EU have tried to frighten them off submitting Article 50 but unlike many Countries in the EU, we don’t have enough referenda until we get the politicians desired answer. If Scotland are such a drain on th UK why do they want to hang on to us……because we are a rich country. The sooner we get out the union the better. If you mention debt, Scotland are not allowed to borrow money so have no debt. The £15bn figure being bandied around would be a share of the national debt which we are not obliged to pay. But we probably will do then we will attain a percentage of th UK assets. This is all common knowledge but unionists do prefer to ignore the truth. Barbara Inch I think you have your facts wrong! It is the UK governments stance not that of the EU that is potentially affecting the rights of Europeans living in the UK. Negotiations for the conditions of Brexit haven’t even started yet, and a lot can happen in two years. 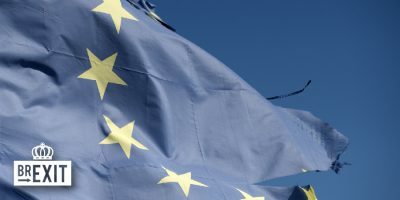 The EU could reform and the UK could even reconsider – why not? Access to the single market may end up costing as much or more as full EU membership. Seems a bit early for any kind of new referendum on the subject. The question, which I answered in the affirmative, concerned whether Scotland should have another independence referendum, given that Brexit represents significantly changed circumstances. The question as to whether Scotland should seek to join the EU, and if so, on what terms, comes later. Doesn’t matter if Scotland wants it. Sturgeon wants it. She won’t let any facts get in her way. No, unless they tell the truth to the scotish people….if they get indepencence Scotland would be OUT og GB and of EU. Remember this? Alex Salmond obviously doesn’t! A Sturgeon is also a fish, found mostly in the waters around Russia. That sells its baby’s. for top $ . Or sounds like anyway . Dismiss the cynic perhaps. In favor of a hope for better future? There is so much ignorance and stupidity in these comments…I don’t even know where to begin. Firstly, there is NO QUEUE to join the EU. No. Queue. It doesn’t exist. It’s a unionist myth. Joining the EU does not proceed on a first come first served basis. Pretending it does just shows how ignorant you are of how the EU works. If you believe the tired unionist trope “you’d be at the back of the queue to get into the EU”, you are delusional. Secondly, the “you don’t meet the criteria because of your deficit” line is total bull. That criteria is for joining the Euro, not the EU. We have no intention of joining the Euro at this time, and couldn’t even if we wanted to. “How would you pay for X, Y and Z?” The same bloody way every other country in the world pays for things. You know, like Denmark and Ireland do. Two similar countries in terms of geography and population, only with nothing in the way of natural resources compared to Scotland. Do you seriously expect people to believe that Scotland is some kind of uniquely impoverished third world country that is incapable of funding it’s own services? You sound like swivel-eyed lunatics when you come out with stuff like that. (Countries wishing to join need to have) the ability to take on and implement effectively the obligations of membership, including adherence to the aims of political, economic and monetary union. Seriously, I don’t think that Scotland could possibly maintain their present standard of living without some form of subsidy or help.Whilst much rubbish is spoken on the subject, by the time The rest of the UK take back their Tax offices and other Jobs exported to Scotland to help the ungrateful recipients, a whole new industry will be needed. I can’t see an upkeep in kilt wearing closing the gap at all. As bargaining chip of the conservative majority government in EU negotiations, Kevin, EU citizens are at the moment not safe to be able to remain in UK. No people are going of SNP tell them when they get Independence benefits will stop lol soon change their minds. The Poison Dwarf will never hold another Referendum because as she has stated only when she knows that the majority of the Scottish people want independence , and that will be never. No. We had a referendum, and by a significant margin our choice was to remain a part of the United Kingdom. Yes. I would like to see independence for scotland, Wales, northern Ireland and even the north of England! Another referendum would split the SNP, and would return a bigger No vote than the first one did. |I think the answer to this dilemma has to be a referendum for England on whether they want Scotland to remain as part of the UK. That should set the cat amongst the pigeons. And when the vote is over, the Scots can then ask Europe to take them in and they can then remain under the rule of that bunch of undemocratic drunks. Come to think of it, may suit them down to the ground. They will then be treated like and end up the way Greece has. The English should imagine how they would feel, if EU did not allow them to leave. Would they like it? I don’t think so. Yet, this is exactly what they are doing to Scotland. It is obvious they have not learned the lesson “don’t do to others what you do not want to be done to you.” But eventually they will learn it, willingly or unwillingly. No one is saying that Scotland cannot leave, all that is being said is that now is not the time for another referendum .. IMO Scotland are more than welcome to leave. The English were open enough to give Scotland a referendum on whether they wanted to remain part of the UK or leave a couple of years ago. The Scots, at the time, told us all it was a once in a lifetime decision. Are you aware that Scotland has a population of only 5.3 million. The UK has a population, in total, of more than 65 million and said to be closer to 70 million. So, their vote in respect of remaining in the EU at that referendum last year was a tiny fraction of the total. Before the IN/OUT referendum on EU participation was taken the Scots were informed, repeatedly, what it would mean to them if the rest of the UK voted to leave the EU against their will. If they found after it they wanted to remain. Even I wrote on this website that if they didn’t want to be ruled by Westminster and the decisions of the rest of the UK citizens, then they should vote for Independence. They chose to stay united as part of the UK. I even thought the vote was rigged as it made no sense to remain in the UK if they really wanted to be ruled by the EU directly. How many times does Switzerland ask their people in a referendum to vote on a particular issue? Would it be every two years? I don’t think so. When was the last time the Swiss were asked, in a binding referendum, if they wanted to remain part of the EU or be out of it? The UK and its Parliament are not forcing Scotland to remain as part of it. In fact I believe that it is time the rest of the UK had a referendum on whether we want Scotland to remain part of our United Kingdom because the Scots cost us a great deal more financially than we receive from them in return. After all, it is only fair we should have equal opportunity to decide what is good for our nation as a whole. They already had their chance. A couple of years ago, the Institute of Fiscal Studies wrote Scotland spent £62 billion and raised £45 billion. Thereby receiving an annual subsidy from the rest of us UK citizens of at least £17 billion. Read this old article, it may give you some clarity. The ‘English’ are just one of 4 countries in the United Kingdom. The UK Government makes the decisions and Scotland is already over represented in the UK Govt with far more MP’s per head than England and possibly the other countries. No-one has said Scotland cant have another referendum. Although the UK Parliament has the ultimate authority for it. Your comment above illustrates no knowledge of the subject you are trying to discuss I am afraid. Yes! Every nation in Europe has the right to choose its future. Not one time but any number of times they wish. In the case of Scotland, the conditions from the last referendum have changed completely. Go for it, Scotland! Let’s make a better Europe giving the voice to every nation. So how many other EU countries are going to be given the opportunity to choose their future? Perhaps the rUK should have a referendum on whether we want Scotland to remain part of the UK considering the amount of whinging they have done I say let them have the referendum and hopefully they’ll leave. The UK would lose 32% of it’s land, but only 8% of its population. Scotland contributes some £106.3bn of goods and services in “Gross Value Added” (GVA) – the key measure by which the Office for National Statistics records regional economic output in the UK. The UK’s total GVA, which was some £1,383bn in 2012, according to ONS figures. The effect of Scotland – and its population – leaving the UK would be a small increase in GDP per head of some £117. The value of Scotland’s exports to the rest of the world, excluding that to other UK nations, accounted for some 7% of the UK total in 2012. The average life expectancy in the rUK would go up from 78.7 to 79.1 for men and 82.6 to 82.9 for women. Scotland also has the largest deficit of any EU country, it’s GDP growth is behind the rUK and according to the SNP’s own figures Scottish revenues amounted to £10,000 per capita while spending was equal to £12,800 (a deficit of £1,400 a head) and while most (if not all countries) run with a deficit, it isn’t one of 10% which is what Scotland currently has. Someone mentioned education in Scotland, sadly The Programme for International Student Assessment (PISA) for 2015 found Scotland has tumbled down league tables for maths, reading and science when compared to 34 other developed countries and the UK’s three other home nations .. not exactly something that allows for the crowing of describing it’s education system as “world-leading”. The Scots voted NO to independence in September 2014 – after more than two years of mature debate on the subject. The SNP might need a second referendum, but the people of Scotland do not. The SNP need to govern Scotland within the laws given to them by Westminster, and stop banging on about another referendum. so the Scottish people who voted NO against Brexit which is the biggest majority shouldn’t have a voice? Real democatic I would say :-( I feel sorry for the Scottish people. They always fought brave against the English and I hope that they will manage to do so now too! But the same Scottish people had previously voted to remain as part of the UK, and they were then part of a UK which then voted to leave the EU. The USA tried it and ended in civil war. This time YES. The final straw was England dragging Scotland towards the abyss. Nationalist no, but now 100% for independence and will fight for it. Anyone who thinks there will be anything but right wing governments in the UK over the next 20 + years is fooling themselves. The only way Scotland has a chance of political change and true democratic representation is through independence. Once independent the fascists/ xenophobes/ retrogrades (lets not fool ourselves, Scotland is full of them and they vote against independence in the great majority) would be able to form their own Scottish Parties along with the new left. Scotland could be a true democratic, republican country within Europe, economically and socially strong. There certainly would be political change after independence but it’s hard to see how it is going to be any better. It would be good to buy a few pounds worth of the stuff you are taking! However, I prefer to keep my feet on the ground. The impoverished Scotland would struggle to do anything and find the Socialist state does not work. Most of us know that but a lot of people out there in the wilds of Scotland do not seem to understand that Utopia is not a Scottish City. The only people who have the right to answer this question are the Scots themselves. It’s their say, not the EUs. The Normal way that the EU works is to refuse to accept a result and keep piling on the pressure until the population gives in to the latest bribes or threats. Scotland is very Pro EU so they will probably want to do the same. lol :) Been there, done that and the EU lost. the referendum in 2014 was not about the EU, was it? Tim Nick Knight If you say so comrade, if you say so :) My money is on Poland leaving the pointless EU next, that or take Mad Mama Merkel’s migrants. Uli Czeranka Everything was about the EU, the Scot’s realised that there was no point in gaining independence to then give it away again to Brussels, Clever the Scot’s you know. Ivan Ivan…thats a highly constructed position. How comes that when it was about brexit, the scots voted against? There is a scottish majority favoring the EU over GB. In 2014 this wasnt an issue as GB was still inside. I think it’s difficult either way. Economically, the Brexit has hurt the UK massively already and they’re not even out yet. And I can’t see how it’s going to get better later on. As for Scotland, I don’t know what they are more dependent on, the rest of the UK or the EU but I can totally understand why the would choose the EU over the UK. si e independinzarse de Inglaterra. Considering the consequences of Brexit… of course YES. The scotish people decided to remain in England overall because leaving it would supose to leave europe. Now brexit has changed the rules and they must consider this. Scotland was never in England. Yes. Leave UK alone… Scotland belong to EU! every people has the right to decide about his future. It´s written on UN´s letter. It´s a question of principle not a question of country X or Y.
I think this is only a discussion for Scots. holding a referendum is not that difficult. Anyone should be allowed to do it, provided they have the means and resources. The big question is: What value has such a referendum? The last one was supported by both Scotland and Westminister and would have been actioned had it been decided, unlike Spain. As for every year…Scottish first minister is waiting til she know what Brexit means before asking for a new referendum. That will be 4 years or so after 2014, roughly the same period before most countries reask the question of who they want to be their prime minister or president. It would be reasked as the circumstances had changed and the last vote was based partly on the No campaigns lie that we would only get to stay in EU as part of the Uk. There’s been talk about “another independence referendum” ever since the results came in for the last one. Asking about an important matter, in this case being part of the UK or not, is justified after a big change circumstances is/should be normal. After all, every 4-6 years politicians ask about the proverbial “will of the people” in a struggle to maintain their seats of power, so asking about important matters after such a period in not too often. They had a chance and they blew it. They can’t have elections every six months just for their own amusement and interests. They can at least wait until the UK has left the EU. Oh come on! The English campaign before Scottish referendum was based on how they will not be granted EU membership if they voted independence (English would oppose their membership). After that English pesents voted out Brexit. So, please stop talking nonsense. How often do most countries vote for a PM or president? 4 years? When was the last one and when is the first minister proposing a new one? 2014 and 2018-19 being the answer. Is it really so crazy to ask again after 4 or 5 years with such a large change being made by Brexit? OF COURSE. They voted No to Brexit. They have the right to cotinue in the EU. they only have the right to apply for EU membership AFTER exiting the UK after Brexit. What is impossible being part of UK. “Strong” Europe with 150 Countries!? Middle Ages, here we come! When a nation’s people vote, they should not be induced to voting until the desired results appear for the few that try to control the word. Note: Greeks voted NO to further austerity and the government proceeded as if were a YES… that is TYRANNY. YES because of Brexit E.U is the most important organisation for the citizen in all country’s of europe. If brexit is inevitable….they should have the choice to remain within the U.K. or to join the U.E. Yes! After Brexit it is a new UK and a new EU. And this reality most the scotish voters got a chance to say yes it No to. Yes Brexit changed everything. Scotland is more then welcome. Yes because last time they voted narrowly to remain in a UK that was in the EU. Things have changed. That’s a matter for the Scots. It’s their business not ours. The EU is proud to have the Scots! No.. let’s stop all this madness. Will divide the country! Scotland in EU out of UK and using euro worse for everyone.. Everything will become very expensive in Scotland . Please.. do. The future of Europe depends on it. In the sense that Europe needs to learn to deal with regions, not antiquated national interests (and undemocratic constitutions, just to name one real bad example). Absolutely not, we must respect the referendum – and the Scots voted to remain British! The EU is playing a very dangerous game to try and divide and conquer countries up. We must all note the EU has been begging and wooing Scotland to leave the United Kingdom, but is dead against Catalan leaving Spain as Catalan is anti-Spain and anti EU. Péter not sure what planet you live on, but I do not recall there being any mention of “empire” or “imperialism” in the Scottish independence referendum. Scotland is one of the 4 Kingdoms of the United Kingdom that came together in peace, (mostly to stop the French and Spanish empires at the time from annexing the small island nation). I think it’s unlikely that Brexit will trigger a reforming of the Commonwealth into a modern empire. If the EU is to learn anything, it is that the British empire was forged from local governments not centralisation in London or Brussels. Scotland voted to remain in the UK because otherwise they would have to leave the EU. As the joke that is the UK became clear I think they can hold another referendum as the conditions of being part of UK have changed. While it is true that if Scotland had voted to leave the UK they would also leave the EU, this was a smaller issue. The question on the ballot was do they wish Scotland to become an independent nation or to remain in the UK? The answer was No and to remain in the UK. Scotland has more to lose from leaving the UK, and the majority of Scots (like most Europeans) do not support EU federalism which is the new mantra being war drummed from the EU. DO NOT interfere in the Kingdom policies….Britain is not iuguslavy or Ukraine. No. That’s way too soon. They have had their referendum in 2014 and the “remain” won, period. When such an important issue is debated in a referendum, the result should at least remain for a few years. Now, some people says “oh yes but now we have the Brexit, blablabla…” So, let’s say we agree with that and they organise a new referendum on the scottish independance: the next question is “where does it stops?” If a part of a country has to have a referendum to ask if it should become independant each time the country has made an unpopular decision it would be a mess. The EU has to stop to act like a crybaby just because the Brits have made the choice to leave the EU. yes just to have fun.